Skimping on after-sun is a false economy. It’s just as important as the sun protection you use, if you want a tan that lasts and looks radiant for as long as possible. (Dry, dusty skin looks way lighter in tone than quenched, nourished skin.) The best after-suns, we’ve always found, also have a cooling and soothing action. The sunny summer of 2018 couldn’t have been more perfect for putting after-suns through their paces – and these got glowing reports from our testers. We have been known, on holiday, to slice off an aloe leaf and slather its cool gel-like sap over hot and sunburned skin. But this is so much easier: a moisturising balm in a sunny yellow flip-top tube, infused with that botanical sun-soother, helping to guard against damage and minimise peeling. We very much like the fact that this is suitable for face and body, doing double-duty. And – being as it’s from Clinique – it’s hypoallergenic and non-acnegenic. Use as often as you like and apply to achieve relief, they recommend. 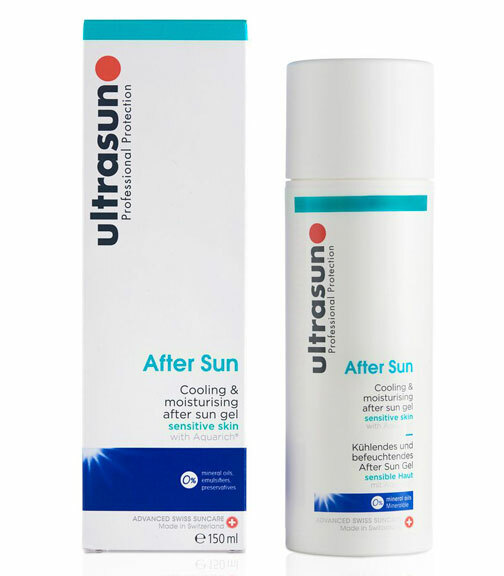 Ultrasun are famed for their once-a-day, photo-stable sun protection products – but from the tester feedback we got on this product, the after-sun deserves recognition as one of the heroes in the range. It’s a cooling gel-lotion that is non-greasy, non-sticky and long-lasting (although didn’t deliver quite the 24-hour moisturisation promised). Ultrasun is made by Swiss suncare experts; this offering is free from mineral oils, emulsifiers, preservatives. What it DOES have is glycerine, SOD (a free radical scavenger) and a patented moisturiser called Aquarich®. This actually earns a double Award: in addition to its Bronze Award, Weleda Edelweiss After Sun Lotion is also the best of the natural contenders, from a pioneering biodynamic brand founded back almost 100 years ago, in 1921. With a more discernible fragrance than the other winners (it features lavender and eucalyptus), glycerine, olive oil, aloe vera and Alpine herbs help soothe and reduce irritation, while replenishing the skin’s natural barrier.